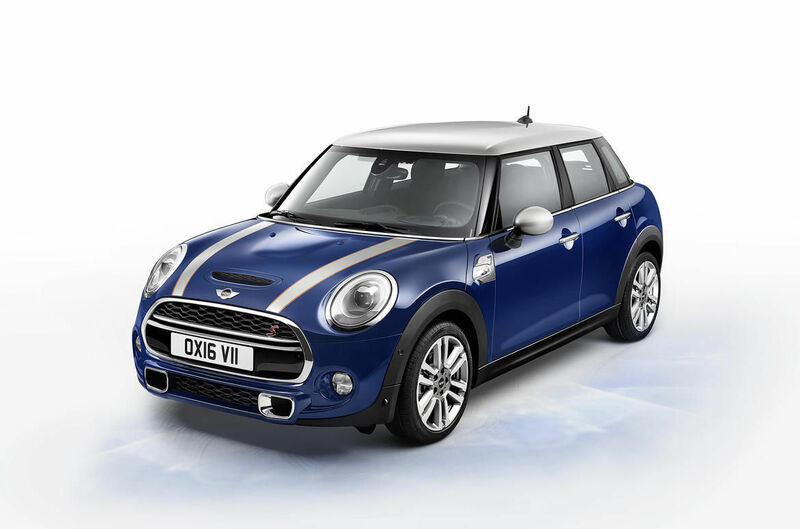 With the new MINI Seven, the MINI embraces its British origins and premium character with distinctive features and appealing upgrades that will charm any fan of the brand as well as any sports car enthusiast. 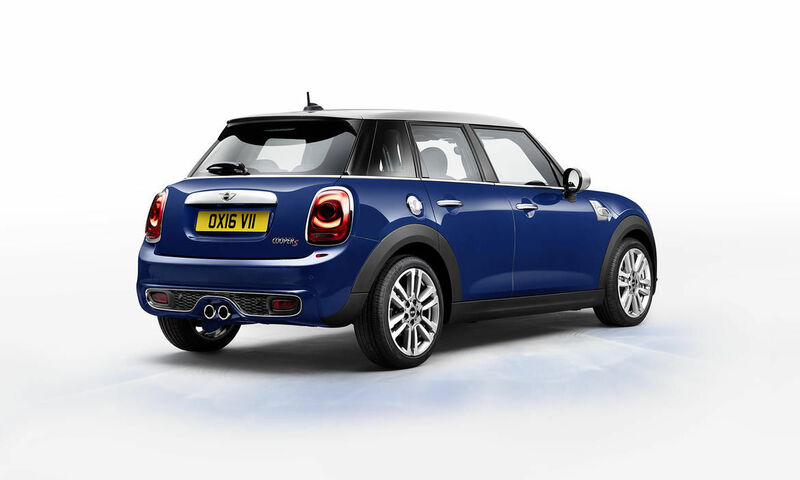 With the new MINI Seven, the MINI embraces its British origins and premium character with distinctive features and appealing upgrades that will charm any fan of the brand as well as any sports car enthusiast. 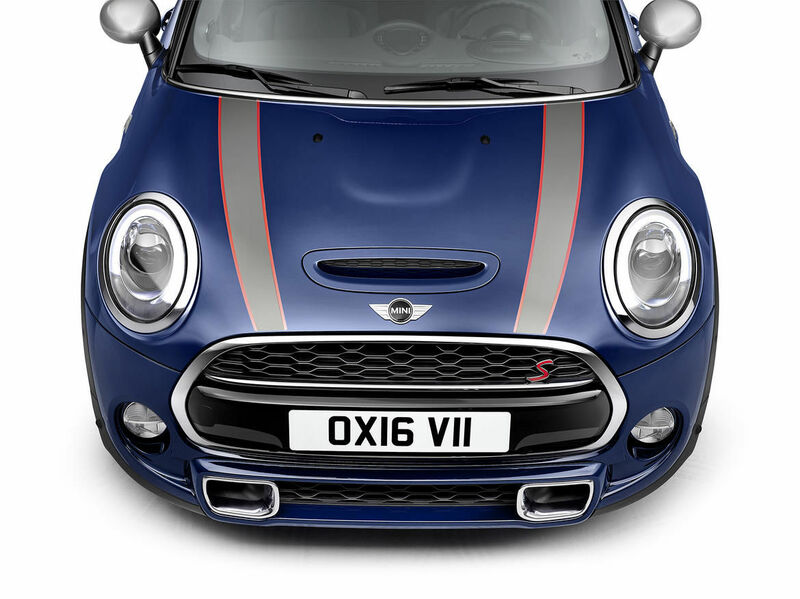 The special edition will be available in both Cooper and Cooper S variants for both 2 Door and 4 Door configurations. 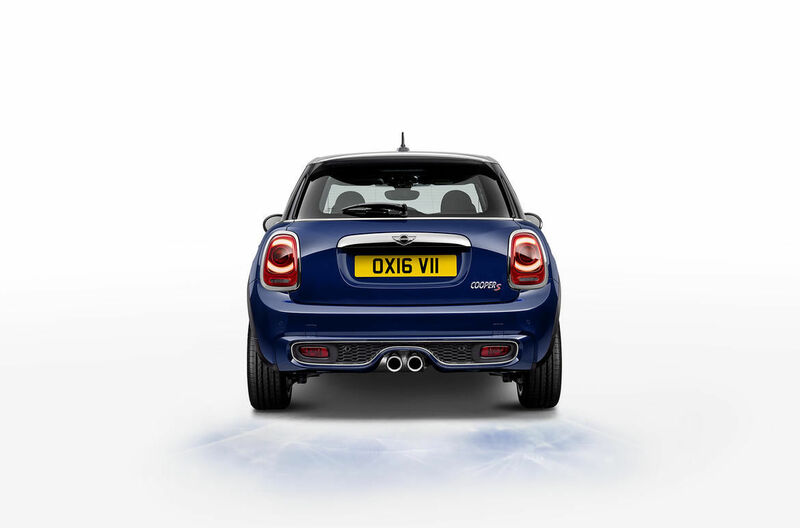 Under the hood, the new MINI Seven is available in two engine variants for each body type. These powerplants feature the MINI TwinPower Turbo Technology, with new transmissions and MINIMALISM Technology, which ensures all model variants achieve a good compromise between fun driving and fuel efficiency. The choice of engines will be the 1.5 liter 3-cylinder engine with an output of 134 hp for the Cooper models and the 2.0-liter 4-cylinder engine with 189 hp in the Cooper S models. Buyers can also outfit their MINI with the 6-speed Steptronic transmission or the standard 6-speed manual transmission. Moreover, the Cooper S models can also be fitted with a 6-speed Steptronic sports transmission, which makes faster gear changes and shifts paddles behind the steering wheel. The standard DSC (Dynamic Stability Control) also includes DTC (Dynamic Traction Control) mode and Electronic Differential Lock Control (EDLC) for a more dynamic drive. The standard trim also includes tire pressure display for each individual wheel. 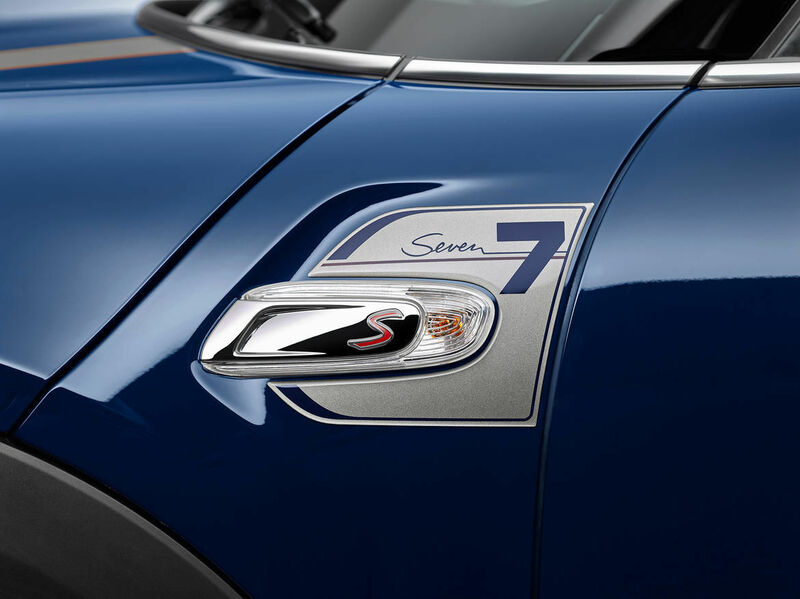 Outside, the MINI Seven features short overhangs and a wide track, as well a particularly stylish and striking expression with signature design and lines. 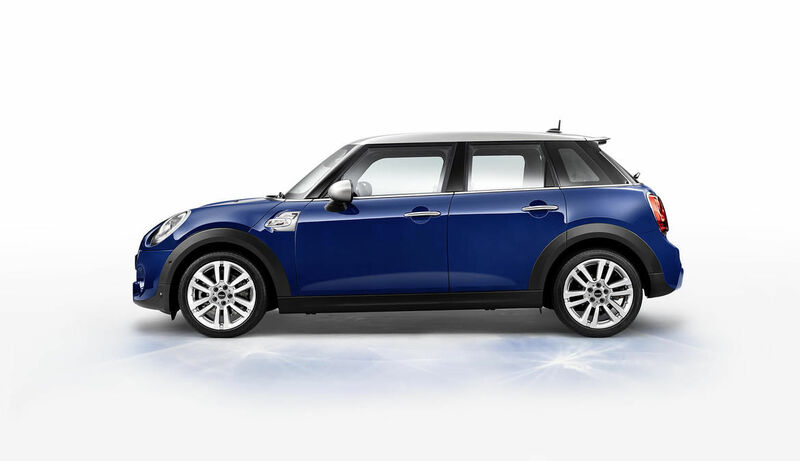 Whether you choose the MINI Yours Lapisluxury Blue color or any other finish, your brand new MINI Seven will come with Melting Silver roof and exterior mirror caps. The 17-inch light alloy wheels of the new MINI Seven offer a great, high performance look, but buyers may also opt for a set of 18-inch light-alloy wheels that are optionally available for the MINI Seven. Inside, the standard trim includes sports seats in the exclusive fabric/leather Upholstery Diamond Malt Brown. Other trims are available, like the variants Cross Punch Carbon Black leather, Lounge Satellite Grey leather and MINI Yours Lounge Carbon Black leather. This new MINI will also come with the standard MINI Connected infotainment system including a 6.5-inch high-resolution screen or an optional, larger 8.8-inch display with navigation. Moreover, the MINI Connected XL Journey Mate are systems that can provide travel planning and support. The MINI Controller in the center console and the color display in the central instrument provide effortless control of all the functions included. Pricing and availability are expected to be announced in the next few months. For more information contact us at MINI Ottawa today!